Rangers manager Steven Gerrard will hold talks with Ovie Ejaria on Friday amid speculation the midfielder could be set for a return to Liverpool. The 21-year-old is in the middle of a season-long loan deal with the Scottish club and has already managed 28 appearances across all competitions. Ejaria himself fuelled rumours of an early exit on Thursday when he deleted his Twitter page as well as removing any trace that he has played for the club from his Instagram account. He was also left out entirely from the Rangers squad that suffered Europa League elimination after a 1-0 defeat away to Rapid Vienna. 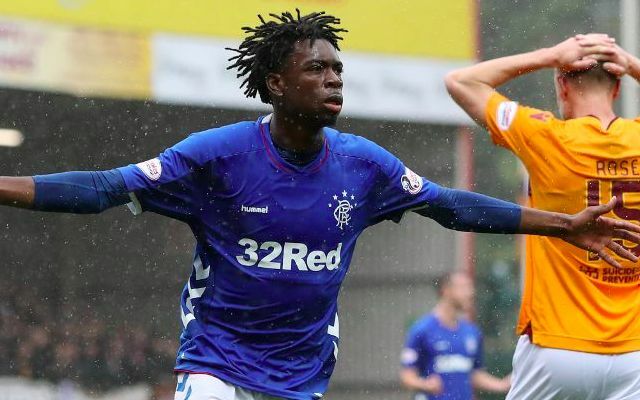 Ejaria has evidently proven a divisive figure among fans at the Ibrox this campaign, with glimpses of his attacking flair alternating with subdued performances. That said, regular senior minutes have been a vital step in his development on the back of a tough stint with Sunderland over the second half of last season. He isn’t the only loanee being tipped to return to Merseyside in January, with Ben Woodburn expected to cut short his temporary deal with Sheffield United having appeared just eight times for the Blades.